This electron micrograph shows how porous tooth enamel is. 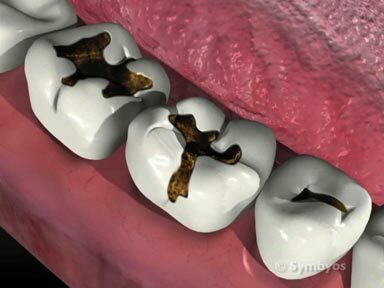 The dark spots are pores in the enamel crystal, which make the tooth vulnerable to acid attack. (Source: Journal of Islamic Academy of Sciences). Fluoride is a naturally occurring element which helps to harden tooth enamel and make it more resistant to acid exposure. It helps protect against cavities (caries) and can reduce tooth sensitivity. Topical (applied to the surface of the teeth) fluoride is generally recommended twice a year for children through their adolescent years to help prevent cavities. A dentist is the best person to assess the patient’s individual risk for cavities, and the developmental status of the patient’s teeth. Topical fluoride supplementation is also recommended in patients who suffer from chronic dry mouth (xerostomia), generalized gingival recession, and sensitive teeth. This scanning electron micrograph shows how flouride ions (see arrows) help to fill in voids in the crystal structure of enamel, especially the smaller pores. The fluoride ion displaces a portion of the enamel crystal that has a similar shape, but is slightly smaller than fluoride. The result is a crystal which is more dense, less porous, and more resistant to acids. (Source: Journal of Islamic Academy of Sciences). When fluoride is incorporated in the diet of young children (mainly through water fluoridation programs), the entire enamel thickness may be less porous. When applied topically, only the surface enamel benefits. 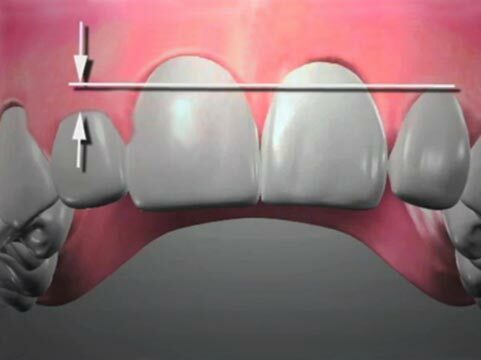 However, surface fluoridation of the teeth is believed to be the most effective at reducing cavities. Administration of topical fluoride can be done in the dental office, and generally is recommended for children through the age of 18 twice a year. Some dental plans may not provide benefits for topical fluoride, or may not provide the benefit past the age of 16. Plans vary widely, and regardless of what your plan pays, you should follow the advice of your dentist, who is the best person to assess the patient’s individual risk for cavities, and the developmental status of the patient’s teeth. The most frequent method for applying fluoride topically to the teeth involves dispensing fluoride-containing foams or gels into disposable foam trays, placing them over the teeth in the patient’s mouth, and having them bite down gently on the trays to effectively force the medication between the teeth and into the pits and fissures. The dental professional should provide suction to remove saliva during the procedure, so the patient does not swallow the fluoride medication. 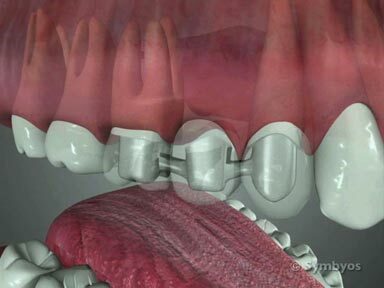 The trays are generally left in place for one minute, after which the mouth is thoroughly suctioned to remove as much of the medication as possible. After the treatment, the patient is requested not to eat or drink anything (including water) for thirty minutes so that the greatest deposition of fluoride into the teeth may occur. Topical fluoride for home use comes in a variety of formulations and delivery systems, including tooth pastes, gels, and oral rinses. Regardless of how the medication is applied to the teeth, they all have in common that they are meant to be topical (applied to the surfaces of the teeth), and not swallowed in large doses. Follow your dentist’s advice on how to achieve the maximum benefit from the topical fluoride he/she has recommended for you.